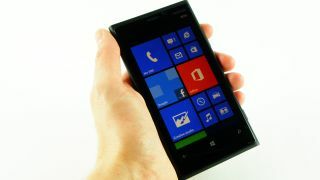 Nokia has announced software updates for its Lumia 920, Lumia 820 and Lumia 620 Windows Phone 8 handsets, which should take care of a few bugs and improve the usability of the devices. Lumia 920 and Lumia 820 owners can look forward to improved automatic display brightness adjustment and a fix for the intermittent screen blanking issue that occasionally occurs during calls. The update will also resolve a few minor issues with performance and stability improvements. The update for the budget Lumia 620 handset brings "plenty of reasons to update", according to the post on the Nokia Discussions page. The software bump brings improved touch screen functions, including corrections in multi-touch actions, and better voice quality with Bluetooth headsets that support echo/noise suppression. It'll also offer enhanced camera performance with corrected exposure when the flash is used in bright light conditions. In a post on the Nokia Discussions page, the company said the update will begin a global rollout today and should be with everyone within a few weeks.